A new study by WalletHub looked at a variety of factors to compile the rankings. WalletHub, a personal finance resource, just released a breakdown of the best and worst states to have a baby—and the results might surprise you. The site looked at a whole slew of factors to determine which states make having a baby relatively simple (relatively being the operative word here—new parenthood is never easy!) and which ones make it even more difficult. They factored in things like hospital delivery costs, health insurance premiums, parental leave policies and the number of childcare centers available. They also looked at "baby-friendliness," which takes into account the amount each state does to help new parents. So what's the best state for new parents? According to WalletHub, it's...Vermont. On the other hand, Mississippi ranked dead last. Ironically, Mississippi actually had the lowest average costs associated with infant care—but the state didn't fare so well overall. When it comes to the costs of infant care, no place drains you financially like Washington, D.C., but New York and Massachusetts are also pricey. 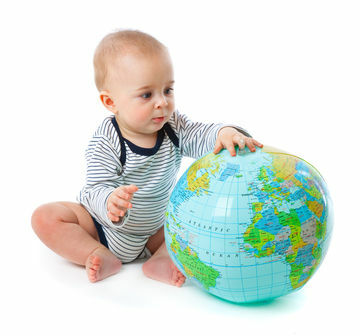 In addition to Vermont, Maine, Connecticut, Minnesota and New Hampshire are the best states overall to have a baby, according to WalletHub. Louisiana, Alabama, New York and Georgia join Mississippi as a few of the worst states for new parents. You can check out WalletHub's full rankings here.